Ever since my daughter was born I dreamed of the day we would be able to wear matching outfits. I had seen other moms doing it with their daughters and always thought it would be neat to do with my daughter some day. To me it's a special way to bond and share common interests in fashion. 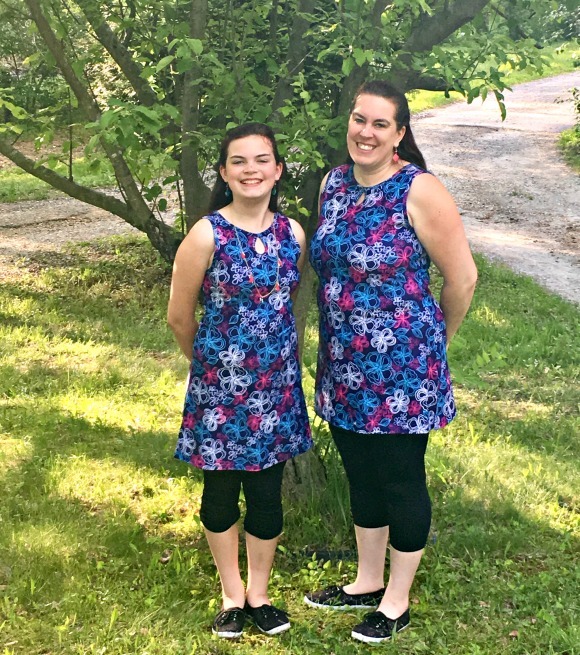 My daughter and I decided that this year for Mother's Day we wanted to get matching dresses. So one lazy afternoon we sat down and looked over a bunch of the choices on the NUU-MUU website. We wanted something from their line because we both liked the style and we liked the type of material their dresses are made from. My daughter's one of those girls that will wear a dress to play games outside and on the playground (with shorts under it of course) so I wanted to make sure we got something she could wear more than just on Mother's Day. And I like to wear them when it's warmer outside and I'm walking. The polyester/spandex blend of NUU-MUU dresses gives you full coverage (nothing see-through) and it's soft and comfortable to wear no matter what you're doing. It reminds me of my favorite work-out apparel actually. Same great feeling material that gives you the stretch where you need it. But it's dressy enough you can wear it out on a special occasion and no one knows the difference. Seeing a smile on my daughter's face brings an even bigger smile to mine. Whether it's matching dresses or just having fun taking selfies together it's memories we will both always cherish as she grows up. At Nuu-Muu, we believe that women’s exercise apparel can be functional and flattering, and should make a girl feel like a million bucks. With the goal of empowering women to love themselves into action, we design high-quality, light-hearted exercise dresses that look and feel amazing. Every single Nuu-Muu product is sewn right here in the U.S.A. so you can feel as good about your Nuu-Muu as it feels on you. Painting should be fun and help with stress. Thanks for the chance. Makes me soooo wish I had a daughter. You girls look beautiful! 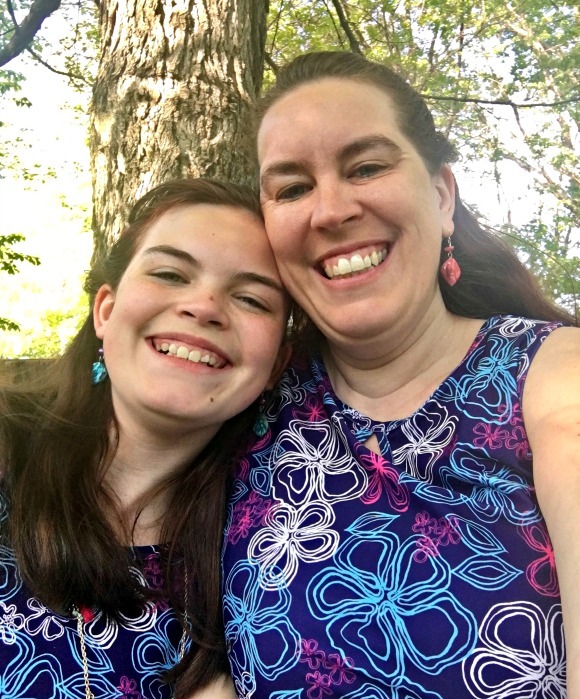 The Nuu-Muu dresses you and your daughter are wearing are beautiful! The two of you look lovely in those colors and it's a wonderful way for mother-daughter to bond. I'll have to check the Nuu-Muu line out, the dresses look so comfy. I really love the matching outfits. You two are absolutely gorgeous! You should totally frame those photos if you haven't already. My mother passed away 8 years ago and I think of her everyday.